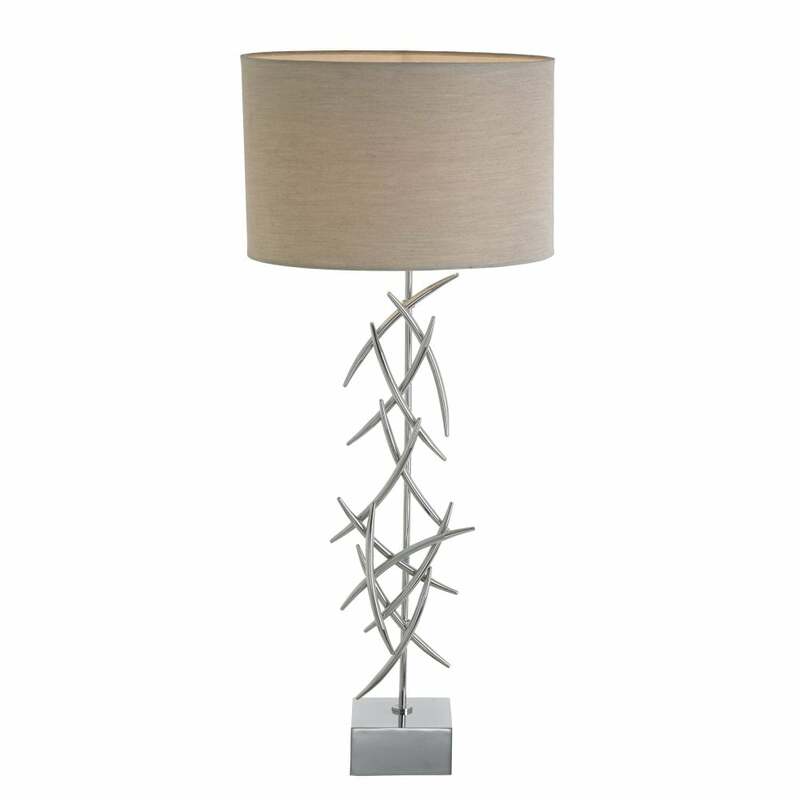 A tall and elegant design, this luxurious table lamp is finished in polished chrome with an artistic criss cross shape. Expertly crafted by skilled artisans, the Halsey Table Lamp by RV Astley will bring a sophisticated glamour to any interior space. Mounted on a solid, cube base this statement table lamp is complemented by a linen effect shade with gold lining. Bring a touch of glamour into a bedroom or living space with the Halsey lamp and style with classic hues of linen, grey and mink for a timeless scheme.